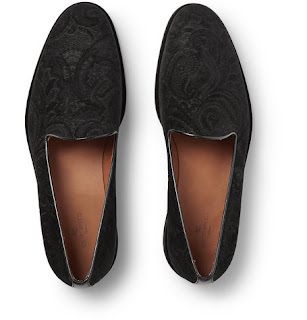 With the panache of peeking inside a well made custom jacket and the smoldering detail of a gentleman's bachelor's pad is how I've always regarded Etro. There is always something quite elegant, refined, learned and sumptuous about the melange of prints and textures from an Etro collection. 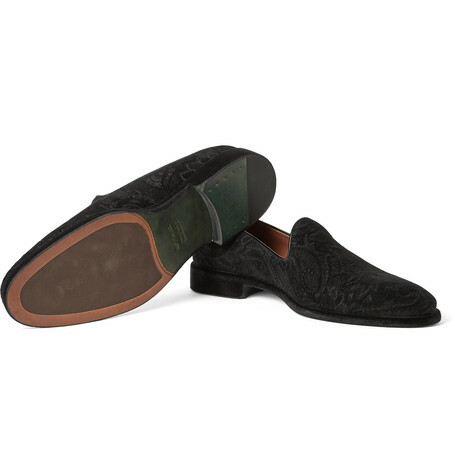 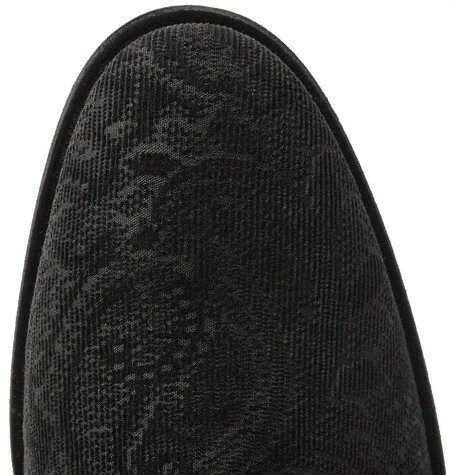 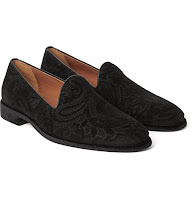 This Paisley-Patterned Velvet Loafer is testament. 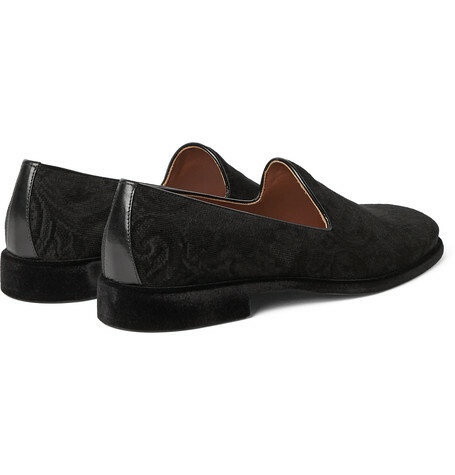 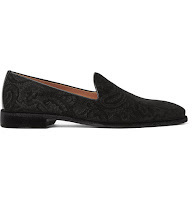 Constructed of an dusty black printed velvet with a subtle cord-like base, this loafer is leather lined and soled and features thin leather piping around the throat. It's visually and tactilely beautiful. Available now at Mr. Porter.com.